Hollywood has been so embroiled in scandal after scandal lately that it’s unbelievably laughable that they have the audacity to try and dictate any sort of social justice warrior cause in any capacity. Imagine a world where every theme a Hollywood movie preaches is also what they consistently break in their personal lives. Well, that’s happening right now. And this famous actress is naturally the latest example because she just pleaded guilty in a nationwide scandal after being charged. Felicity Huffman might not be a household name anymore but there was a time when she was one of the biggest television actresses in the business. Lately, though her career has been a bit of a whirlwind and has certainly fallen from grace since her fame from the “Desperate Housewives” days. Not just career-wise, but she was also charged and indicted in a nationwide college cheating scandal conducted by the FBI. Weeks after posting a $250,000 bond for allegedly paying $15,000, disguised as a charitable donation so her daughter could cheat on an entrance-exam, the 56-year-old pleaded guilty and accepted “full responsibility” for her crime. That statement will absolutely work in her favor during sentencing because it’s a great apology. It’s almost as if one of her screenwriting colleagues drafted it up for her. It really is a good sentiment but it might be too little too late. To be fair, she’s ready to accept her punishment, which might result in jail time, although her lawyers probably instructed her to do this after they found out what was admitted in the discovery process. She was likely dead to rights and had no way of trying to fight the case in federal court because of the overwhelming amount of evidence against her. Given that this is her first offense, the court will likely go easy on her sentencing. Also, the court is likely to go extra lenient on someone who admits their faults immediately. 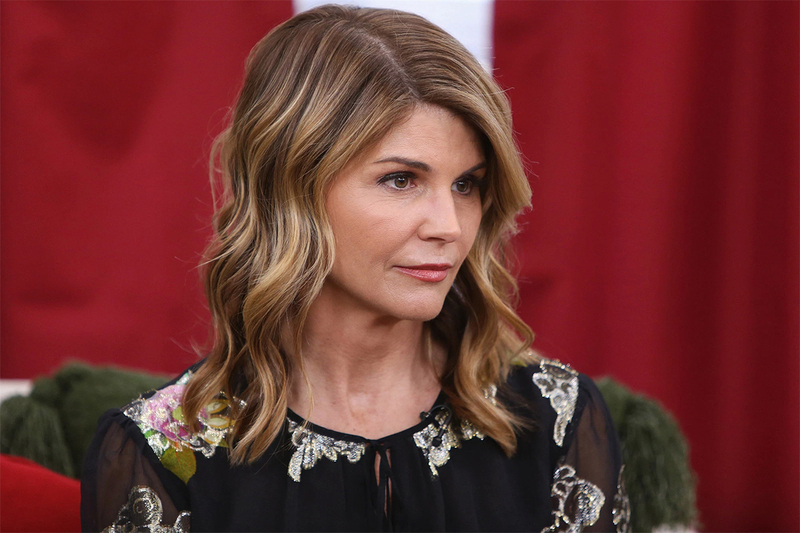 In the meantime, “Full House” star Lori Loughlin was also caught up in this nationwide scandal and her case is probably a lot worse. Huffman was undoubtedly in the wrong but she only paid $15,000 to deceive the university into accepting her child. On the other hand, Loughlin and her husband, clothing designer Mossimo Giannulli, allegedly “donated” $500,000 to the University of Southern California’s Crew sports team even though neither one of her daughters they accepted were a part of the team. In fact, Loughlin’s daughter, Jade Giannulli, was in the Bahamas on the yacht of Rick Caruso, chairman of the University of Southern California Board of Trustees, as her parents were named Tuesday in the federal indictment. She was spending a holiday break with Caruso’s daughter, Gianna, also a USC freshman, Caruso owns a 216-foot vessel called Invictus. Jade did return home once she learned of the scandal. Loughlin was released on a $1 million bond and if that indicates anything, it’s that the higher the bond, usually the more serious the crime. The Full House star will likely need to fight the case with vicious lawyers in order to avoid jail time because it appears as though her crime was far more serious than Huffman’s.